BACKTOFRANKBLACK.COM: Free podcast! Millennium Group Sessions #7 - Jon Polito Interviewed! Free podcast! Millennium Group Sessions #7 - Jon Polito Interviewed! 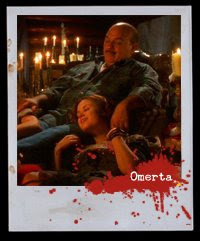 In the seventh episode in the Millennium Group Sessions series, Troy and Jim speak to Omerta guest star Jon Polito (Homicide: Life On The Street, Miller's Crossing, The Big Nothing) and talk about his prolific career and his love for Millennium. It's a fun, informative and charming interview. Expect an abridged version on the blog in the future along with a great hi-res image of Jon on set. Also, Millennium Group Sessions #7 has more news, updates and informal chat with your hosts Troy Foreman and Jim McLean. Finally - apologies on a few bad links we've had on Klea Scott's interview - a compounded problem caused by a few file name repairs made in the server folder. Sorry for the inconvenience - my bad - and sorry to Klea! :) All fine now! 7 Responses to "Free podcast! 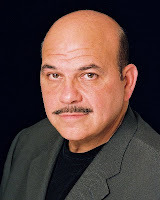 Millennium Group Sessions #7 - Jon Polito Interviewed!" What a fantastic podcast, the best one so far. The Klea Scott being a close second. Wow, he was really open and honest and funny too. I enjoyed the candor and the comedy of the podcast. Keep up such wonderful work. I look forward to the new podcasts all the time. Yes, Josef, you beat me to the comment section, this time! Another great episode of the podcast. You guys are really doing a fantastic time with everything! Enjoyed the interview with Jon very much, loved his character, he was just one of those bad guys you just had to love! :) Should I say bad guys or wise guys? lol I think the two girls were faries because they lived in the woods and the trees. Just my opinion and they had magical powers. And James you do a fantastic job with the enhanced version of the podcast, love seeing what pics you put in there. :) Thanks for taking the time out to bring us a good quality podcasst! Honestly, I'm very happy with the interview, we got to start and end with Millennium and covered some real highlights of his career! Super! One of my favourite podcast interviews so far. A very interesting and informative interview. Jon Polito was a great listen. I was particularly interested in the discussion about Homicide: Life on the Street. Great podcast! I love hearing the intimate details of the episodes from behind the scenes. I'll have to check out more of Jon's work. Another great interview. Thanks guys! P.S., I agree with Troy that the X-Files episode did not provide closure. have been explored enough in the 3 seasons we are lucky to have.